We take great pride in the work we deliver and aim for complete customer satisfaction with every job. Have a look at what some of our recent customers have to say..
Quick job but done very professionally and efficiently. Top marks for service. Very professional and efficient. Rang up and was coming the next day but was nearby + rang and completed wit him 3 hours of my first call. Called out at very short notice. Very knowledgeable and polite. Would highly recommend. Jack and Bob done an excellent job, their price was very reasonable and would recommend them to anyone. 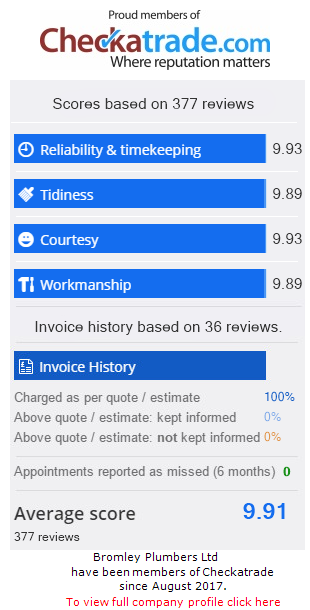 Very friendly and helpful sorted problem, good value for money would definitely use again and would recommend to use for your plumbing needs! Jack came out when requested, texted to confirm he was on the way (actually turned up early), carried out the work quickly and reasonably priced. Not a big job, but done quickly and efficiently. Great service on what was quite a difficult job fixing a blocked outside drain with poor access. Very considerate and kindly removed shoes when going though the house. Will be having them back for some extra piping work to alleviate the drain further.